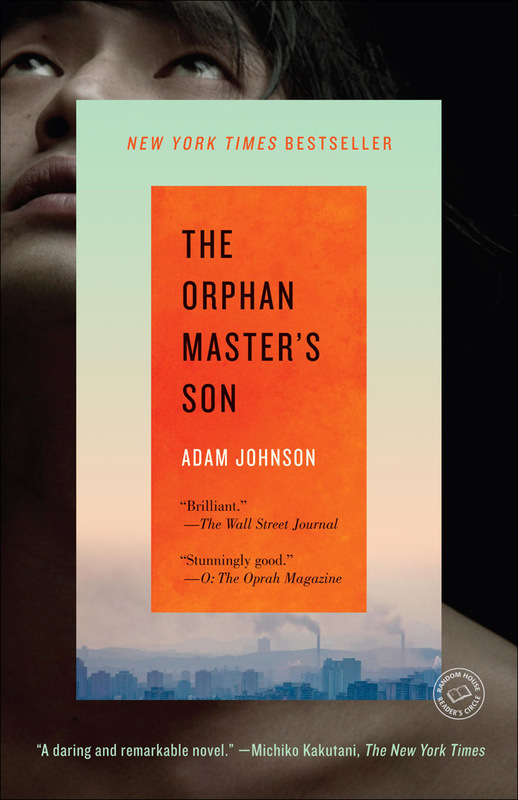 Earlier this month I was blown away by Adam Johnson's The Orphan Master's Son, a surreal, fantastical, dark, imaginative, chilling take on North Korea, love, delusions, commitment, and fantacisim. I'm excited to share my interview with him, so read on to learn more about his book, his writing, and what he doesn't when he's not reading. In high school, I wrote a story from the perspective of several blades of grass as the lawn was being mowed. It was a very serious story that concerned the topics of indifference, conformity and surprise endings. I live near the University of California San Francisco, the state's only dedicated medical graduate school. I write in their medical library, which is open to the public, so many of my writing rituals have to do with sharing my writing space with the studious, the homeless and the mentally ill.
Was The Orphan Master's Son the original title of your book? I'm not very good at titles, and I'm never satisfied with them. I put off naming the book until the end, hoping a perfect title would suddenly occur to me. This title is apt, but I still call the book, "my North Korea book." As you were writing The Orphan Master's Son, was there a particular scene or character that surprised you? The entire book was challenging and surprising. I never knew which way it would turn or what discovery was ahead. That was true to the last page. When you're not writing, what do you like to do? I spend all my free time with my wife and our three children. 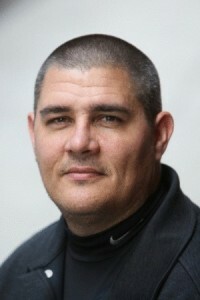 I'm re-reading Cloud Atlas by David Mitchell in anticipation of the movie. The book is more stunning than I remember. I've recently read galleys for "A Working Theory of Love" by Scott Hutchins and "A Constellation of Vital Phenomena" by Anthony Marra, two really thrilling books due out this fall. My thanks to Mr. Johnson for his time and his answers. I'm thrilled to offer a copy of The Orphan Master’s Son to one lucky reader! To enter, fill out this brief form. Open to US/Canadian readers, ends 8/24. what? I missed your review of The Orphanmaster's Son? That book was fantastic and I'm off to read your review now. Adam Johnson is a big ol' sweetie. It totally blew my mind -- I'm still chewing over it. So thrilled I got a chance to interview him -- he is a sweetie! I would imagine coming up with a title would be tough - like naming your child! Thanks for the giveaway! I will be listening to this one shortly. I love to hear all the answers to the first question. Often, I wish I could read those first stories. I am also reading Cloud Atlas, and just admiring the flow and the brilliance of the story. I highly recommend it to you, Audra. Thanks for featuring this interview for the tour!